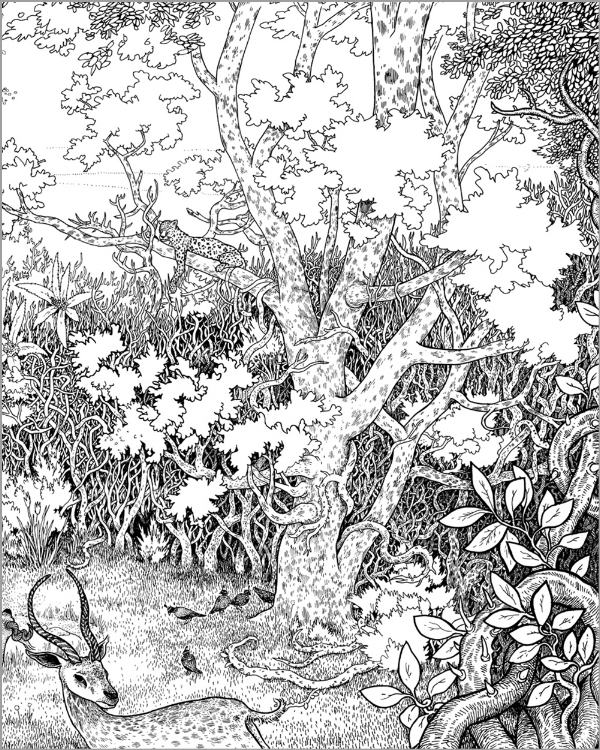 The self-published, large form comic contains several short pieces, including a tale of Devil told in the same silhouette format the silhouette format Nilson used in Rage of Poseidon. 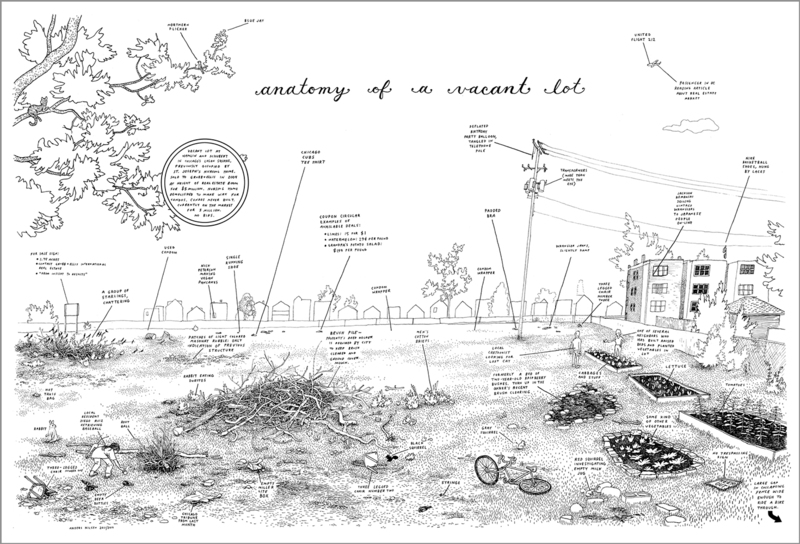 It also includes a collaboration with novelist Kyle Beachy, a large diagram of a vacant lot in Chicago (see below) and several drawings. You can find it on his website.